What, you may be asking, happened? 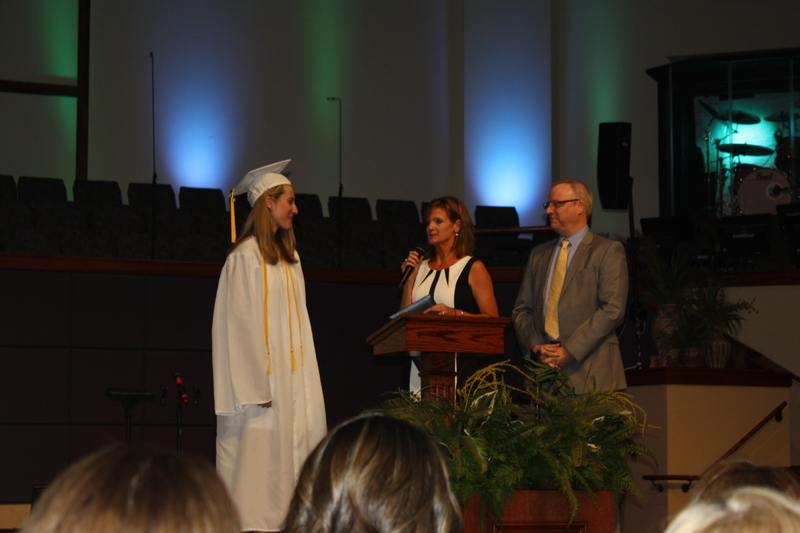 Well, my wonderful readers and dreamers, the author of this blog has officially graduated from high school (for the sake of my sanity, we’re going to ignore the fact that I still have a few weeks left of school). Yep. Eighteen years in the making and here I am. 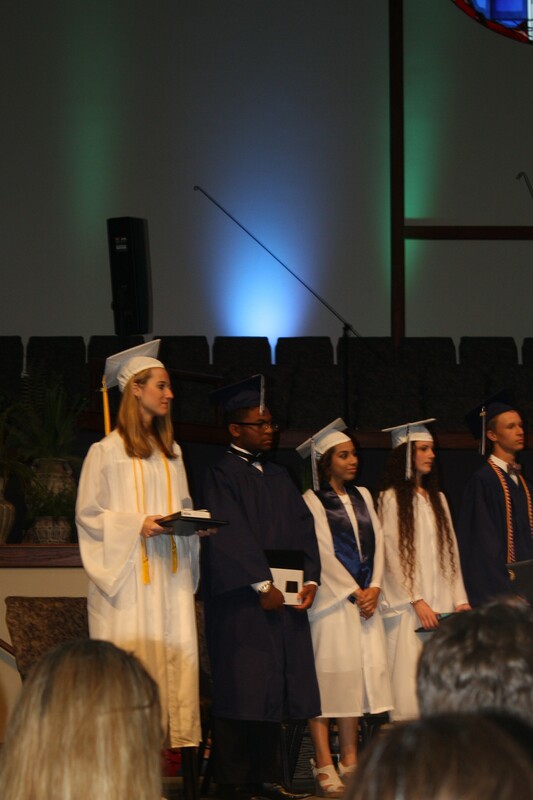 I don’t think the fact that I’m graduating really hit me until I was standing in the church, with my peers. We all looked at each as if to say right. this is really here. this isn’t some idea in our heads anymore. 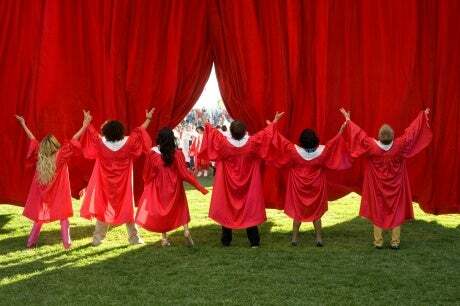 we’re graduating. Not going to lie, when the entire notion of you being DONE with your childhood, officially considered an adult by the entire world hits you…it’s a bit terrifying. So, when Griffin suggested that we all skip our graduation and go and get milkshakes instead…It was a terribly tempting proposition. Especially considering the fact that we had to give speeches, and anyone who knows me, knows that I abhor speaking in front of people. Then, we all had a mid-panic, because did we just miss the music cue. Are we supposed to go in now? Later? Has it started? And because I was first, if I missed the cue, everyone else would be off. Thankfully, someone told us when to go (bless her! ), and off I went down the aisle. 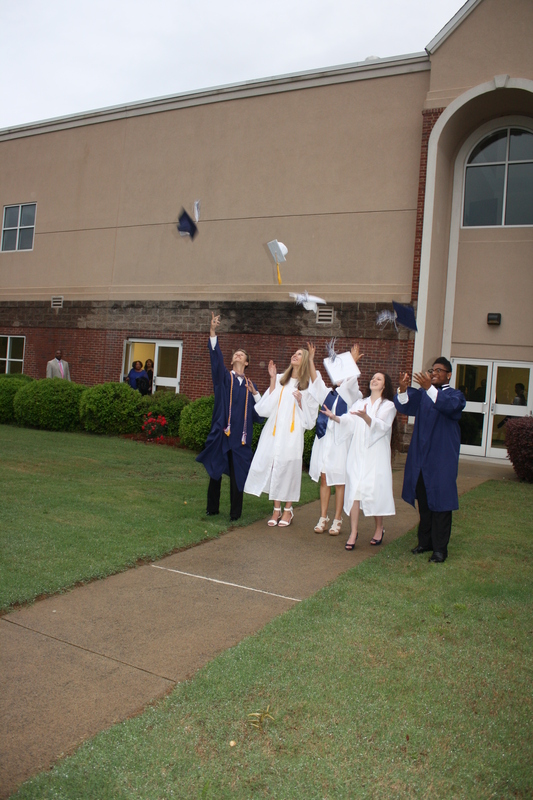 I wore my white graduation gown and cap, with gold tassels and fringes. Wearing my two inch white wedge heels – I’m not the most coordinated person anyway, and so I thought it would be wise to steer clear of too-high shoes, I walked up the steps and took my place. 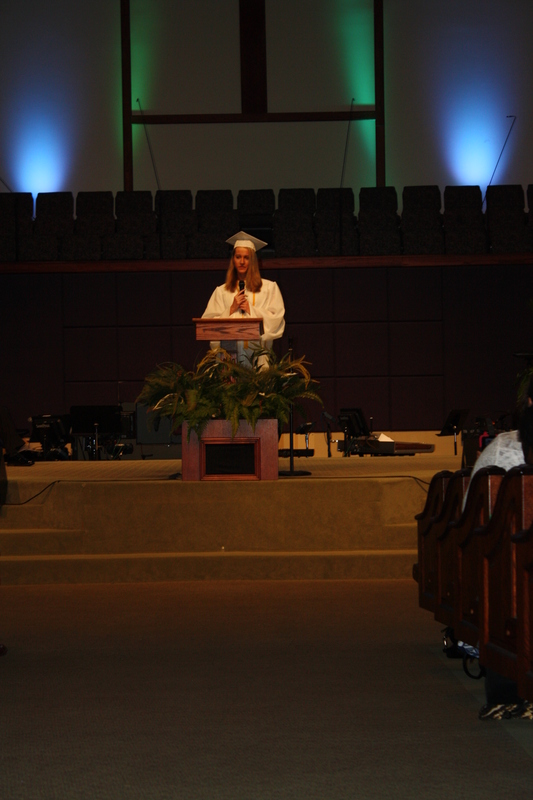 Both Chelsea and Haley’s dads prayed, with the later speaking. They both did an amazing job. For the ceremony, a video with a song and pictures of the graduate had to be created. They played each video, and after one was done…the graduate had to speak. Miyah, who looked fabulous, walked up the steps and took the microphone. She sang Cinderella by Steven Curtis Chapman. I love that song, and she did an incredible job! 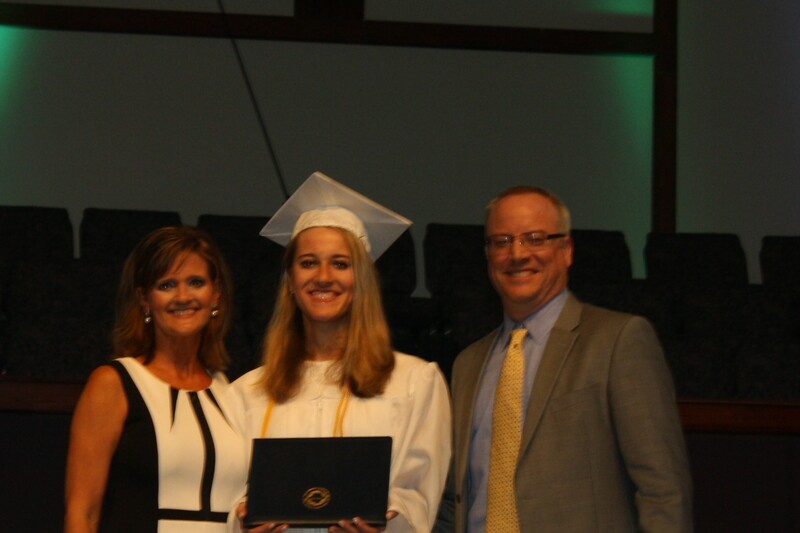 Then came time for my parents to take the stage, speak, and hand me my diploma. 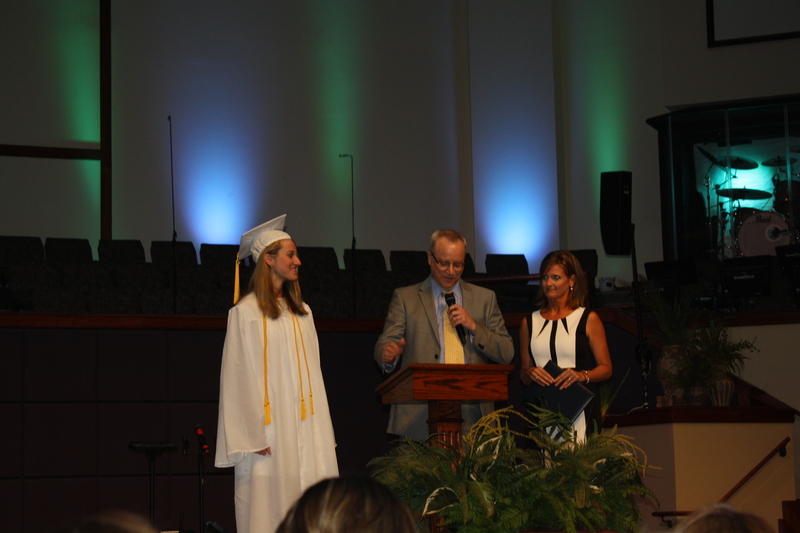 My mom held the diploma, while my dad took the microphone. He gave a great speech, although I suppose I’m slightly biased since it was about me xD, and was about to close when my mom interjected. In a characteristic fashion, my mom spontaneously decided that she needed to say something too. So, she did. It’s funny standing there and having someone say so many nice things about you, even if it is your family. Like, I’m not sure I deserve all of this. But, ONWARDS! 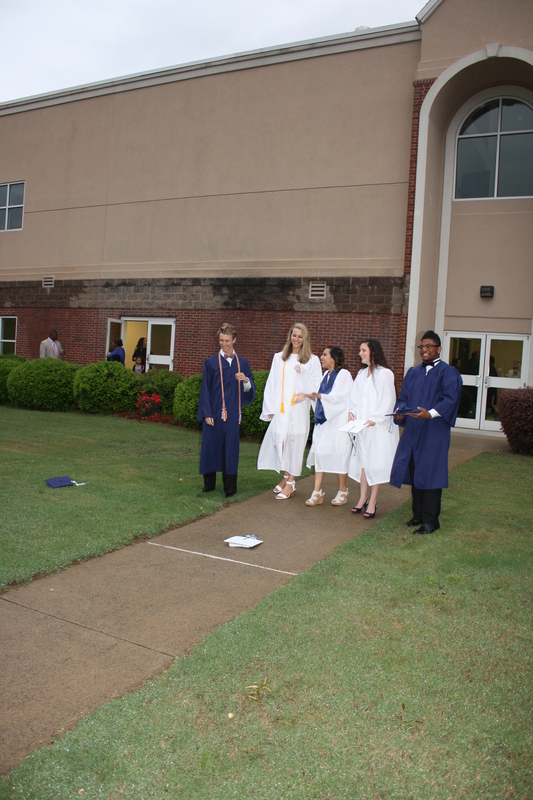 They handed me my diploma, and the ceremony continued. Mrs. Kim gave each of us, as graduates, a new Bible. Thank you Mrs. Kim, I will treasure it always! This is also a good point to make an important note: THANK YOU LORD FOR BRINGING ME THIS FAR. Eighteen years! 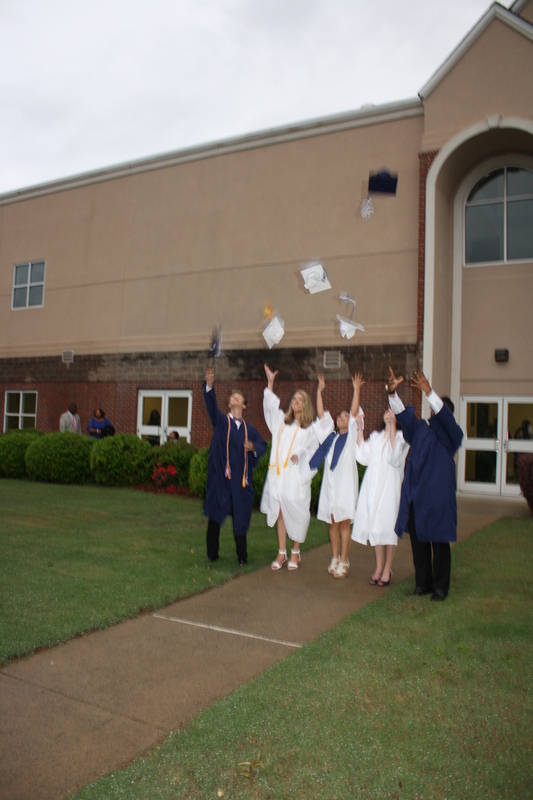 We turned our tassels, pictures were taken, and then came the time for us to exit the stage…as the official CHAT graduating class of 2017! All in all, it was a wonderful ceremony. Thank you to Mrs Kim for putting it together, you did an incredible job! Thank you to everyone who came and helped me get this far, and congrats to all of my peers who graduated as well! WE DID IT Y’ALL!